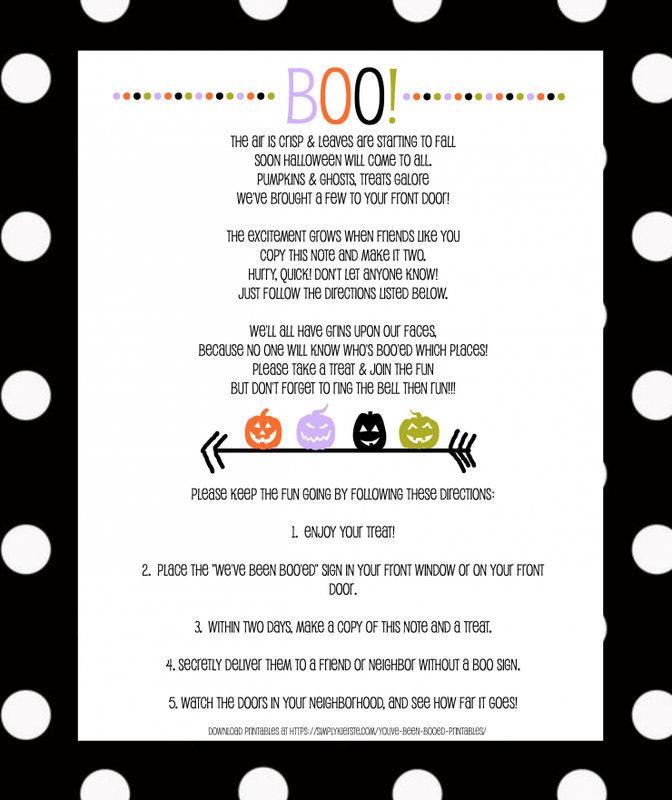 You've Been Boo'ed Printables | Simply Kierste Design Co. It was a dark fall evening. The kids were giggling in the back seat, amidst an intense conversation regarding strategy—who was going to ring the doorbell, where they would hide, when they would run. As the getaway driver, I was instructed to stay far away, but not too far away, to leave the inside lights off, and keep the engine running. Between them, they had all the bases covered, and it was time to go for it. One of the kids had the treats in hand, while the others were close behind. I watched and waited and listened, and what seemed like minutes later, I heard loud pounding feet and gales of suppressed laughter—some more than others. They piled in the truck, and off we went! We just had to go back and see if the treats were gone, so we circled the block, and then went back to the scene. Our hearts were pounding, and we hoped they weren’t looking out the window, but our treats were gone! The mission was a success! One of our most favorite family traditions is to “boo” our neighbors and friends a few weeks before Halloween. We make up two or three plates of yummy treats, print off cute boo signs and instructions, and then sneak out into the night dressed in black clothing. (Okay…it’s usually our pajamas, but we pretend we’re totally undercover.) Then we secretly deliver them! We all love it, and we usually talk about our “undercover missions” for weeks to come (especially the close calls!). It’s a really fun tradition that you can also spread throughout your neighborhood, and when you drop off of the treats, you can leave them with the information and invitation to keep it going. I love this tradition because not only is it something our family genuinely loves to do together and looks forward to. It’s also putting the focus on others, and hopefully spreading a little holiday cheer to someone who needs it. This is also so fun to do in a work setting with colleagues, and I’ve included an “I’ve Been Boo’ed” printable below (use the same letter). You’ve Been Boo’ed! How does it work? 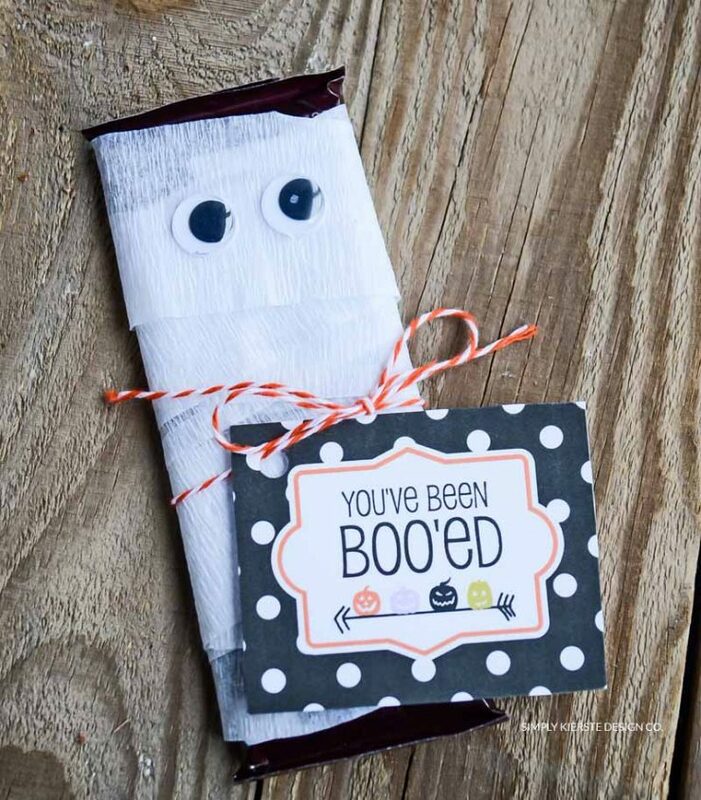 Make treats or buy Halloween candy and package it up with a cute “you’ve been boo’ed” tag. Deliver the treats to a friend or neighbor, place them on the porch, ring the doorbell, and RUN! It’s best to do this at night, under the cover of darkness. Along with the treats, we leave them a sign to hang up in their window, and the letter for what to do next. 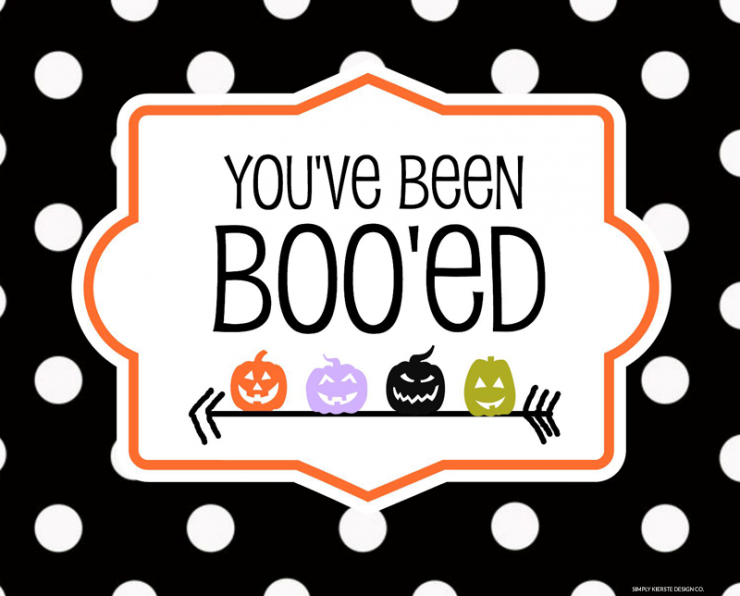 I have all the printables you need for your own “You’ve Been Boo’ed” escapade! Tags: Small These are for tying onto your treats! Door Sign: This is the sign that the recipients will place in their window on their door, so everyone knows they’ve already been boo’ed. You’ve Been Boo’ed Letter: Include this letter with your treats—it gives all the instructions your recipients need to continue the tradition. You can also find another of my versions of You’ve Been Boo’ed printables HERE! now these are so cute ….love them…thank you for sharing..